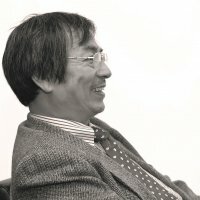 Personal Details Naoki Kanayama has been a professor of civil law at Keio University Law School since 2004. He teaches courses in contract law, arbitration, and French law. He has been a visiting professor at l'École Normale Supérieure de Paris (2006) and l'Université de Paris II (2008). He graduated from Doshisha University Faculty of Law (1977), and Graduate School of Law (1981), Knox College (Illinois, USA, 1982), before completing the Kyoto University Graduate School of Law doctoral program (1984), and was awarded the degree of DEA de droit privé from l'Université de Paris I (1987). Qualifications and Past Experience Before joining the Keio University faculty, he was a professor of civil law at Himeji-Dokkyo University, and Hosei University. He also teaches at Waseda University (since 2003) as a part-time professor.